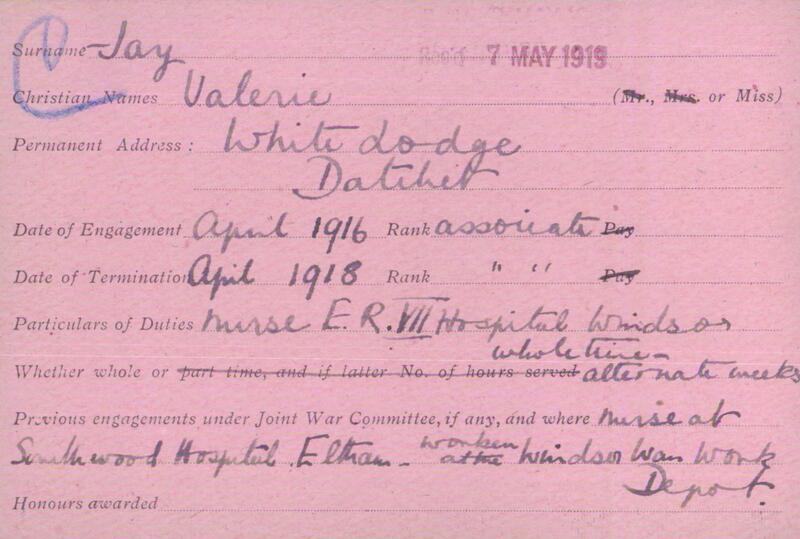 Ethel Jay and her daughter Valerie both worked as nurses during WWI. 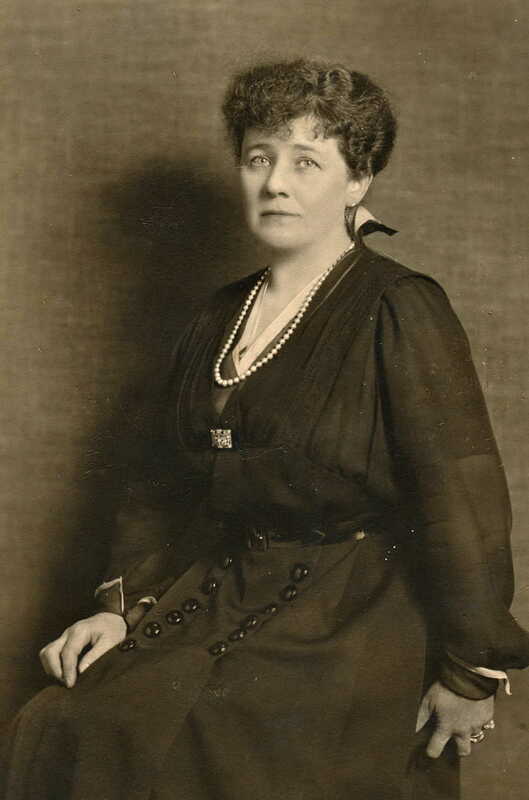 Ethel Maud Pilcher was born in Sydney, NSW, Australia in 1872. Her husband, William Cunliffe Pickersgill Jay, was born in New York in 1868. He studied at Cambridge University and became a lawyer in London. They married in 1894 and had two daughters, Ethel ‘Valerie’ in 1895 and Nora Ivy in 1901, both born in London. The family had been living in Sloane Street, London and bought a house in Datchet around 1903. 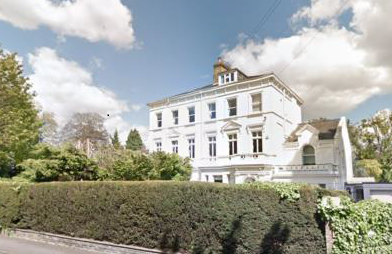 William also retained a pied-a-terre in London where he continued to work as a lawyer. They lived at White Lodge, a grand Victorian house on the riverside, with seven servants. The Jays soon became involved with village life. The local newspaper records that Valerie and her father competed in the Datchet Regatta in July 1909, in the ‘mixed double sculling race with lady cox’. They also had friends in high places – Ethel’s great grandaughter in America has been in touch with the DVS to explain that Ethel “was very involved with Queen Mary. She painted antiques for the Queen’s fund raisers and gifts”. The Jays had family in the area, too. 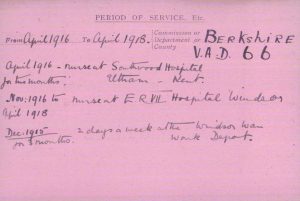 The Slough, Eton and Windsor Observer reported that Marjorie McPhillamy, Ethel’s cousin, was married at St Mary’s Church in October 1913. She was escorted to the church by William, while Valerie was a bridesmaid, wearing rose chiffon velvet finished with creamy lace and a black velvet hat trimmed with tulle, carrying a sheaf of lilies. The reception was held at White Lodge. 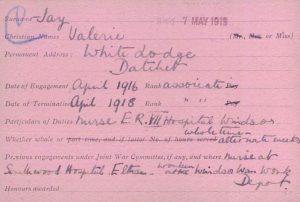 During the war both Ethel and Valerie volunteered with the Red Cross. Valerie, pictured left c1939, was also a nurse. 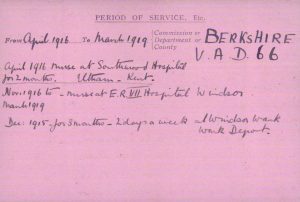 Her Red Cross record cards, below, show that, like her mother, she worked at the Windsor War Work Depot, then Southwood Hospital and King Edward VII Hospital. Her rank is listed as ‘associate’. 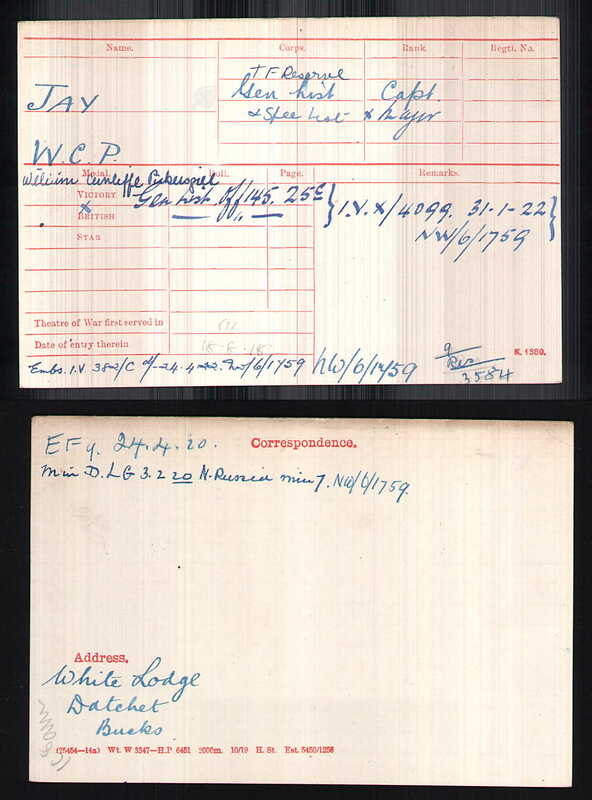 William also served in WWI. His medal cards are pictured below. 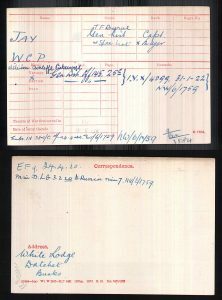 The 1918 Absent Voters List records that he was a retired Major HM Army, Territorial Force Reserve. 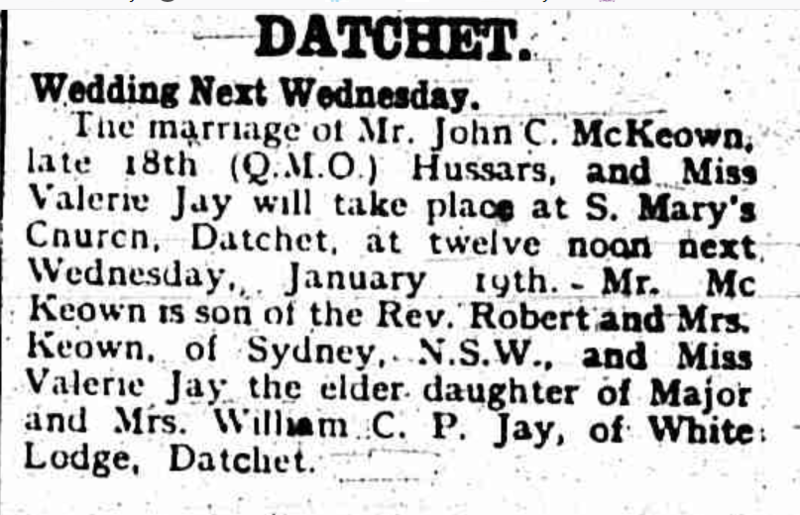 After the war, in January 1921, Valerie married an Australian, John Cuthbert McKeown, at St Mary’s Church, Datchet. 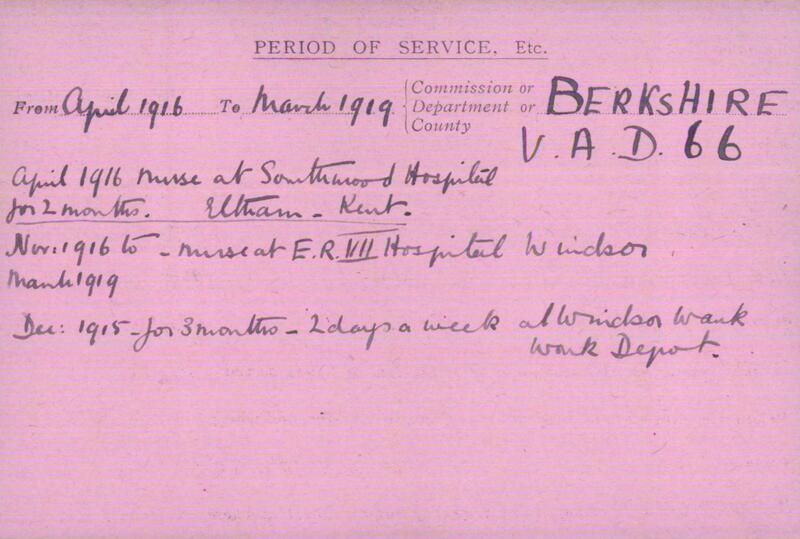 He was 14 years older than Valerie and had served with the 18th Hussars in WWI. They moved to Australia, where a daughter, Anne, was born in 1922. 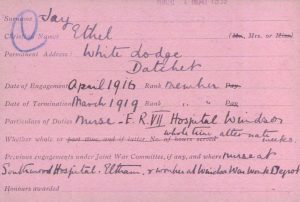 A second daughter, Jane, was born in 1924 in Datchet. 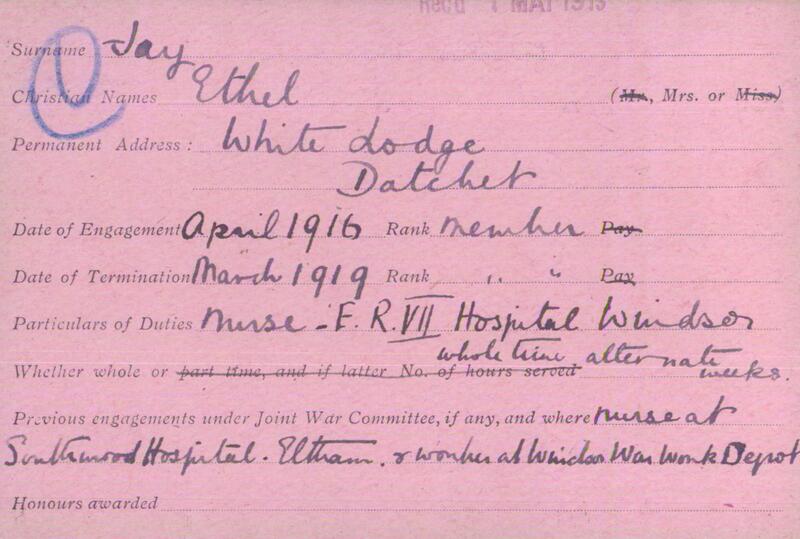 Ethel and William remained in Datchet, at White Lodge. 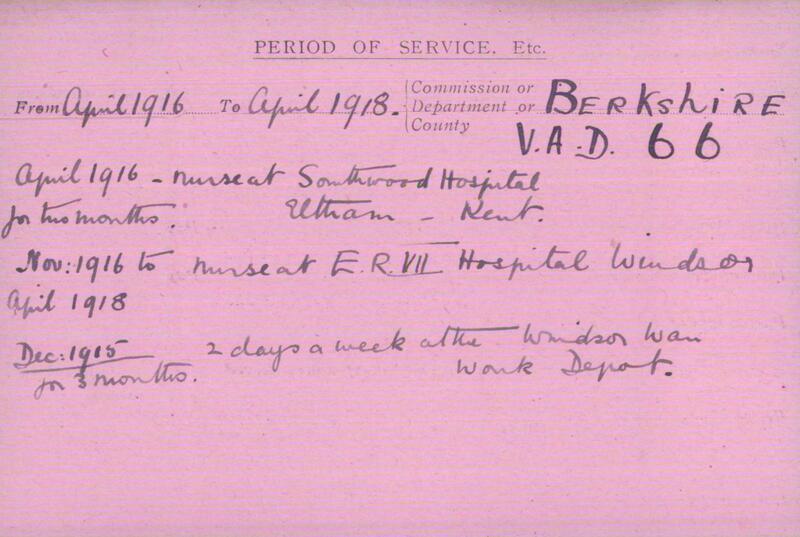 After Ethel died in 1932, William remarried and moved to Hove where he died in 1939. 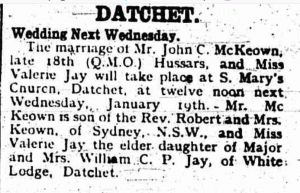 Valerie’s husband, John, died in 1936 in Australia. 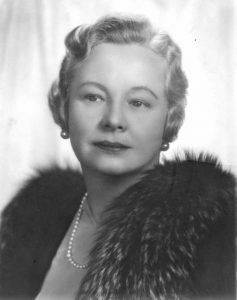 Valerie moved to the States where it is thought that she married Arthur Ford. She died in January 1979, in Santa Monica, California.